The story of some of the most remembered characters who transformed the world. Produced by the BBC, based in true facts, with the support of modern historians. This documentary tells how Napoleon, Spartacus, Richard Lionhearth, Atila, Shogun and Cortes printed their names in the books of history. An evening soap opera, about a mountain rescue team in the Highlands of Scotland. I enjoyed the lovely Scottish scenery and the acting. Lots of cute guys and girls here, doing brave things. The stories were often interesting, but in too many ways they were over- contrived. 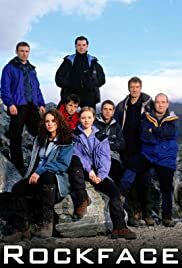 I kept imagining REAL mountain rescue crews watching this show and cringing about the stupidity of the TV "heroes", week by week doing things I am sure (I really hope!) no trained rescuer would do - rushing in to rescue someone before calling for backup is a theme. However, it was worth watching for the acting, scenery, and soap opera aspect (somehow a soap with Scots accent is more alluring), and it was a nice salute to the real-life heroes whose bravery it portrayed.